According to the Environmental Protection Agency, your indoor air quality may be two to five times more polluted than the air outside of your home. If you’re keeping your windows shut to avoid bringing pollution into your home, you could be doing more harm than good. Contaminated indoor air comes from a number of different culprits. One common issue is dust. If you have pets, dander may be a problem regardless of how clean you think your home is. Mold spores, pollen, and bacteria are also common issues. You may think that you have to invest a lot of money towards improving the indoor air quality of your home, but you can make a big improvement by simply following these few easy tips. Some of the healthiest homes when it comes to indoor air quality are the older homes that have a lot of gaps and cracks, even though they are not necessarily energy efficient. This is because there is a lot of air exchange between the inside and outside of the home. If you have a newer home that is sealed up tightly you probably need to work on improving the indoor air quality. If possible, open up your windows or doors for approximately thirty minutes every day. This will recycle the old air in your home with newer air from the outside. In the winter you may have to adjust the amount of time that you open up. Try to stay closed up in the middle of the afternoon when pollution levels are at their highest. Of course, if there are forest fires nearby, it is best to omit this step and keep your windows shut for improving the indoor air quality. The floor in your home is likely the worst area when it comes to particulates. This is especially true if you have carpeting. Dust, dander, insect waste, and other allergens can hide out deep in the fibers of your carpet or rugs. 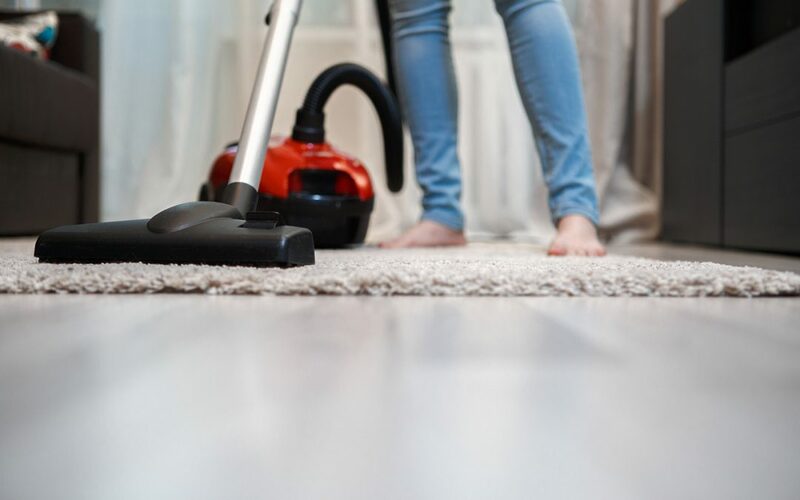 Make it a point to vacuum your flooring on a regular basis. It helps if you invest in a vacuum with a HEPA filter that traps particles rather than just moving them around. If you have pets, you should vacuum daily or every other day. You can also invest in deep cleaning your carpet once per year to help with improving the indoor the air quality in your home. There are a number of household products that can harm your indoor air quality. Most cleaning products are full of harsh chemicals that can make you sick. This could be an all-purpose cleaning spray, air freshener, dryer sheets, or bathroom cleaner. There are a number of organic and natural products that you can switch to that smell just as fresh but don’t contain any harsh chemicals to pollute your air. There are many things you can do to improve your indoor air quality when it comes to your HVAC system. Make sure that you are changing out your air filter regularly. It is also important to have routine maintenance performed yearly on this equipment. If you still feel there is an air quality problem in your home, consider having a purification system installed. This will further remove particulates from the indoor air that you breathe. Eagle 1 Home Inspection Services offers home inspection services to Southern California, including Riverside County, San Bernardino County, Yucca Valley, and Coachella Valley. Contact us to schedule an inspection.